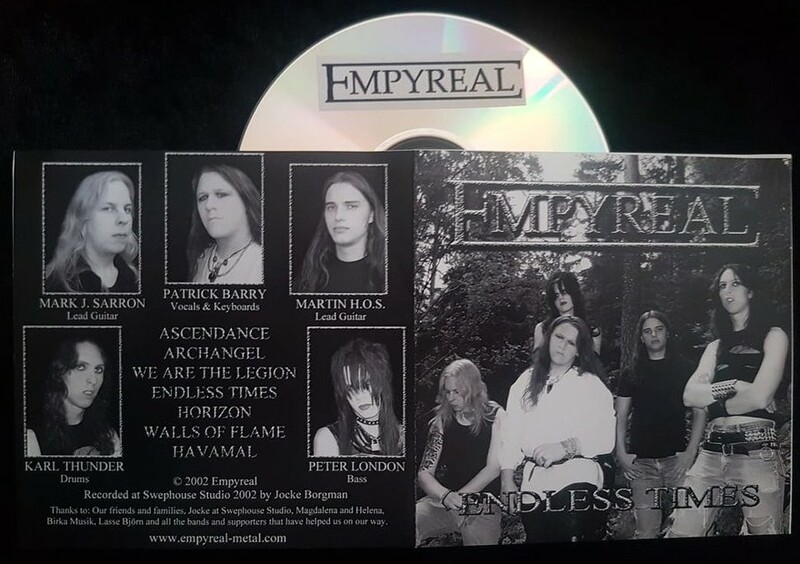 Ralphy Lee Fox wrote: Empyreal's "Endless times" demo cover from 2001. I know the pic is so small but couldn't find it in a bigger resolution anywhere. Anyway, seems like two of the guys in this pic are Peter and Martin. I guess Peter (still with black hair then) is standing in the back. Not sure about Martin, though. i have a different Empyreal cd at home that also has peter in it. somewhere on another thread i posted the inside picture of the band about 1-2 years ago. Could you dig it up for me?